Jorg Sieweke reflects on studio Baltimore work of at International Conference on the Constructed Environment held in Venice, Italy from 17-19 November 2010. The goals of the conference adhere the generalist cross-silo work that is characteristic for the studio explorations. The talk discussed how bolder actions need to be taken to face the problems inherited from decades of disinvestment in urban public infrastructure. Who is responsible or accountable for place-making and building addresses and identity for a city at large. How can considerations on long-term asset management strategies help to revise technical infrastructure systems that are meeting the end of their designed lifespan. The conference was held at La Fondazione Querini Stampalia a 16th century residence, the ground floor and the garden were designed by 1963 by Carlo Scarpa. 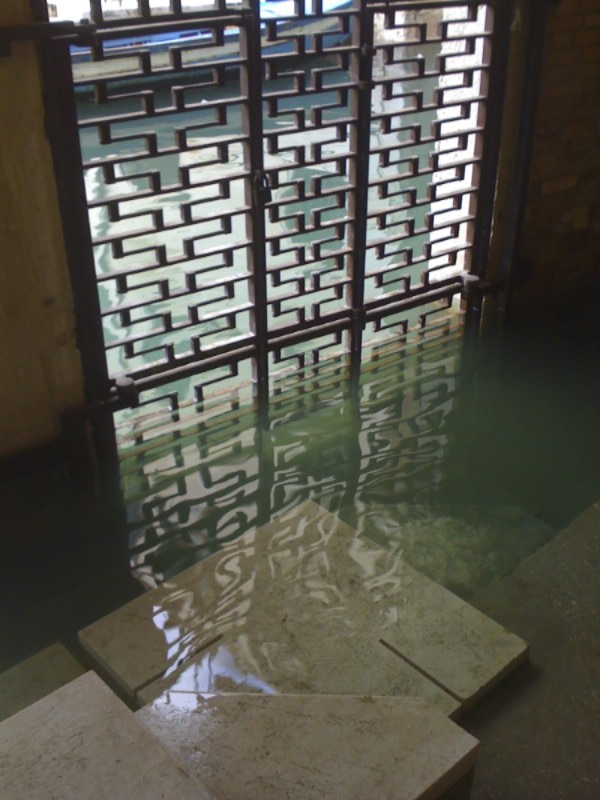 Scarpa achieved a unique condition in opening the facade to the adjacent canal and introducing the water of the outside into a staged set of constructed terraces and channels within the ground-floor space of the building. This beautifully constructed environment of the venue underlined the argument of the talk to reintroduce fluctuating water of the Jones Falls in the urban public realm of Baltimore. 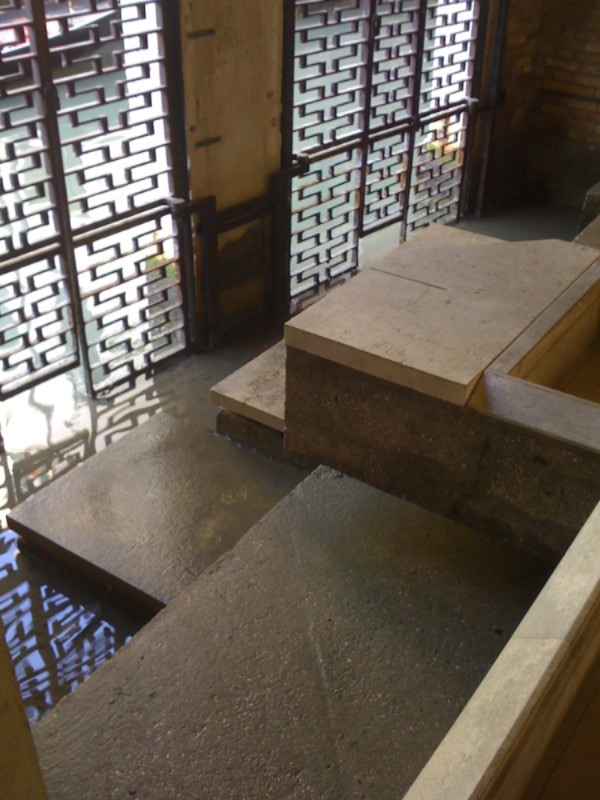 That day a larger portion than intended by Scarpa was under water. While leaving the hotel with aqua alta in the morning, one could not walk across the city without first obtaining rubber-boots – walking barefoot proved to cold in November.